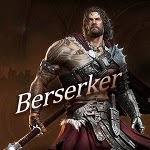 Here'a a general guide for PVP and Skill Builds, for beginner's playing Darkness Rises, a hack and slash action adventure Android and iOS mobile game. - You can gain skill points every time you level up or by completing certain achievement quests. - Obtained from SP Chests, event completion rewards (like Rest Bonus), and more (can be farmed by your alt characters then give them to your main via shared inventory). - Buy from Shop > Consumables with Gold, PVP Honor Shop (random) or Guild Shop. - Note: You can't reset skills but you can farm SPs. 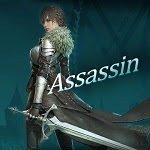 - Focus on 3 or 4 PVP skills to upgrade first to make your PVP life easier. To maximize their upgrades, equip them too for PvE, refer below for general skill builds. - Upgrade and max them out to increase their base damages and cool-downs. - Note: Switch to "PVP mode skill select" to check their base damages, cool-downs, and extra effects, or just try them out in PVP Skirmish Mode. 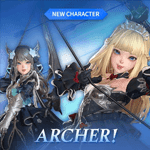 - Focusing on PVP skills will also give you easier time to farm more Gems and other items like Jewels from PVP rewards, aside from the Daily Activity rewards. - In case your preferred skill isn't unlocked yet, just go for any skill for now, but do not upgrade them to save Skill Points. - Preferably, choose Skills (including Combo Skills, yes you can equip them) with disability effect like Stun, and with nice damage output. Defense Reduction is also an excellent debuff to get, Attack Reduction and Slow too depending on your play style. - Stun is an excellent disability skill to help set-up combos, accurately use skills or Ultimate Skills, and for team play! I would highly recommend to get at least 1 Stun skill, especially for early builds. - Use any Skills including Block and Counter to ignore Stun effects. - Escape using dodge too if you can. - Increasing Stun Recovery stat may also help. - The reason why getting a Nuke skill is an advantage for any build is because Stuns can still miss if it's not accurately used. Example: In a 1 on 1 fight where 2 players simultaneously spams their 3 skills, the end fight is that no one will get stunned, and the one with a higher damage output will have more chance of winning. - Go for Nuke Skills with high PVP damage output, and with extra effects like "Knock enemies into the Air" for example. These skills are really great especially for Duel PVP because you can do a series of normal attacks while the enemy is in the air. - If you can successfully do these combos after a Stun, damage output is really great! - TIP: Accuracy is also important, if you can't chain or even connect your skills 80% of the time then better change (try them out in PVP Skirmish Mode). - There are some skills that can also lock targets for the whole duration, useful for Team PVP, and for countering Blockers. Commonly used by Berserkers, make sure to land all hits though. - These skills are mainly used for Team PVP because of their extra effect to push enemies outside the ring! Usually used after a stun attack near those map edges! - Skill is very situational though, and only works if it's done right (need to adjust location after stun for example). - Skills used for diving into enemies. This is great if you can time it well (effective with long ranged skills), otherwise, it's a make or break skill because it can miss a lot if not used correctly within it's required range, making your position vulnerable to attacks. - If you are using a diving skill, make sure that you have your dash or block ready, just in-case you miss. - Charging skills that dashes towards targets are better, because you can time it well. This is a must skill to get especially for Duel PVP! - Just equip your PVP Skills. If some of them is a Combo Skill, just equip the required Skill to activate them. This way you can still efficiently use your hard earned upgrades for all around use. - In case the skill isn't unlocked yet, just go for any skill for now, but do not upgrade them. Note that it is best to use a temporary Skill with a Combo Skill unlocked for PVE because of higher damage output (250% + 200% is better than using a single 300% upgraded skill for example). - Focus on those 3~4 PVP skills first and keep them maxed as much as possible, depending on your current Lvl. - Next, use your extra skill points to slowly upgrade your PVP Skills' counterparts for PVE. Example, if one of your PVP Skills is a Combo Skill, upgrade it's Initiator skill to decrease cool-down and increase base damages as well for PVE, cap it to Lvl 9~30 (multiple of 3) for now to save Skill Points for your PVP Skills). - So at later game play, you should be upgrading a total of 6~7 Skills, and this way you can use all upgraded skills for all around use! - You may also consider upgrading other skills that you might like later on. 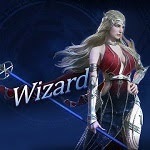 - Please note that skill builds are dependent on your base stats, gear upgrades, and most especially player skill. Learning the skills alone won't be enough, you also need to learn how to use them effectively. - Blocking and Countering is also a must to learn because they can help nullify damages rendering your enemy's damages and skill effects like stun to be useless. 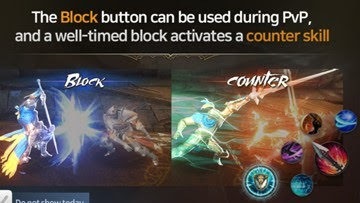 Dodge, Block and Counter can also give you a chance to set-up your combos for massive damages. - Defeat enemy within 2 minutes. - The Player with higher HP after 2 minutes wins the match. - Watch your Ultimate's cool-down and use it to your advantage to get the win! - The best workaround against these strong opponents, is to win via time limit, plan your attacks and avoid all damages using dodge, counter, and block. - *Note: When creating Skirmish mode Duel PVP, make sure to tick the Public option to make your room open to all. - Score 1,000 Points within 3 Minutes. - The Team with highest score after 3 minutes wins the match. 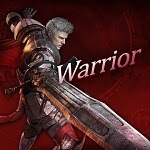 - Points can be gathered by defeating enemies and through assists, so team play is a must. - When killed, your character will re-spawn after 5 seconds. You can't attack, use skills or get damaged a few seconds after you re-spawn. - During matchmaking, if you have the lowest points, league rank, and overall rank (portrait decoration), it is best to avoid diving in and taking damages because you'll definitely lose (especially for squishy classes), plan your attacks and move out to avoid getting killed. - Otherwise, if you think you have the upper hand, then go and unleash hell to them! - If you are really really good, you'll eventually encounter players that are way stronger than you, so it is kinda normal to get losses sometimes, especially when your strongest member/s isn't doing great, or your weakest member is feeding points ~ lol. - TIP: If your team is winning in points, and the time is less than 20~10 seconds, consider evading all attacks and avoiding clashes to bag the win. This is especially useful when your HP is low. - *Note: When creating Skirmish mode Team PVP, make sure to tick the Public option to make your room open to all. - The Ultimate Orb located at the center will spawn first at 2:30, then re-spawns after 30 seconds from the time it is obtained. So go back and start checking it out somewhere around 1:59, 1:28, 0:57, and 0:26. - Sometimes, the Ultimate Orb will spawn right away, so go check it out right from the start, then adjust and follow the re-spawn pattern. - Buff Orbs from all corners may also spawn: Resistance, Strength or Life Orbs. - Note: Do not get any Buff Orbs (except Life Orb) if you have the Ultimate Orb, it will override it! - Avoid getting killed a lot! Try to get Life Orbs to replenish your HP. - Avoid the edges of the map to avoid getting "Ring Outs", unless you know what you are doing. - Avoid Ultimate skill users, they are invincible during the skill animation, but if you can time your attacks, there is a small window right after their skill, where you can nuke or stun them while they can't still move! - Avoid or be careful when running to clashes that you don't have a clear view. Example: Running from the sides to the bottom area, or from the top area to the sides or center. This is because the enemies from the bottom area will always have a clear view advantage over you. - Avoid using Gems to revive, save them instead. 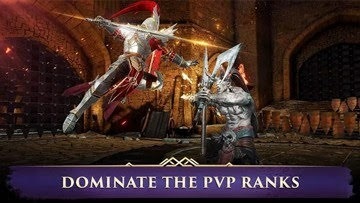 - Similar to Duel PVP, but probably the easiest PVP match so far, because AI is predictable... until of course you have reached higher ranks where you need to upgrade your character more just to reduce or deal significant damages. - Similar to Ranked Matches, but this time you'll be able to use up to 3 characters. - Tip: Once the Switch Bar is full, you can switch to your characters with a stun effect, also a useful option once you get stunned or combo locked by the enemy. Good Luck!